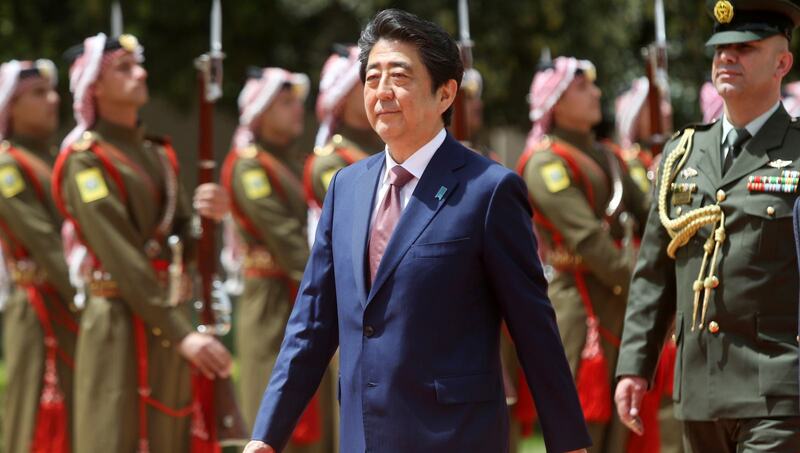 Prime Minister Shinzo Abe is now the third longest serving prime minister of Japan since the Second World War. Thanks to amendments by the Liberal Democratic Party (LDP) to regulations, it is possible he will become the longest serving prime minister of post-war Japan on 24 August 2019. Why does Abe look so resilient despite a series of political scandals, and when it remains unclear whether he will win the next party election in September or muddle through upcoming nationwide elections, especially the next Upper House vote in 2019? At this moment, Abe derives strength from his adversaries; namely, the weakness of domestic opposition and the assertiveness of external powers. Abe’s approval rating in the past three months has been around 40%, which is lower than the 45% disapproval rate. The administration is accused of falsifying Ministry of Finance documents to conceal negotiations around Moritomo Gakuen. Because of its law-abiding, anti-corruption culture, Japan’s public is tough on political scandals involving bureaucracy and politicians. However, in the midst of dynamic changes on the Korean Peninsula and the urgency of economic and social issues, the public also feels fatigued by the constant diet of scandals. The opposition parties remain outnumbered in terms of support: the LDP maintains 35% support, compared to 9% for the Constitutional Democratic Party (CDP); 1% for the Democratic Party for the People (DPFP); and 4% for the Japanese Communist Party (JCP). As I argued this time last year (Abe’s troubles at home cause for concern abroad), the LDP is still seen as the only viable and relevant governing party in Japan. The regional security environment is seen to justify Abe’s realist foreign and security policy. As of March, nearly 90% of Japanese people surveyed sensed the severity of the security environment in East Asia. In the same poll, 80% of respondents positively evaluated Abe’s foreign policy under the auspice of “diplomacy taking a panoramic perspective of the world map”. The general public is more aware of foreign policy than other political agendas. In multiple-choice surveys, foreign policy and security, especially North Korea, is the second most prioritised issue (75%), compared to the economy and employment (85%), social welfare system (74%), and political scandal (40%). Throughout the second half of 2018 this trend will not easily shift, as instability on the Korean Peninsula and the potential for a US–China trade war continue to be seen as critical issues for Japan’s national security and prosperity. The problem is, again, the lack of opposition parties’ willingness to provide alternative foreign and security polices. Except for the newly established DPFP, the opposition parties are strong on anti-Abe rhetoric, but not on substantial political issues. During the second question time this year, held on 27 June, Kohei Otsuka, co-leader of DPFP, raised economic issues, especially immigration and fiscal health. During the first question time held in May, DPFP party leader Yuichiro Tamaki discussed foreign policy, namely US tariff impositions and Japan–Russo relations, both of which are highly important public issues. On the other hand, CDP leader Yukio Edano discussed political scandals for the majority of the first question time. Although he recently raised the issues of consumption tax, Upper House reform, and an accident involving an F-15, there was no real debate because of the inconsistency of questions. The current question time system appears irrelevant due to the fragmentation of opposition and limited time allocated to each individual party. Although Abe is the beneficiary, his administration has to deal with potential challenges. First, the regional security environment has changed dramatically. The cornerstone of Abe’s security policy is enhancing Japan’s alliance with the US, regardless of who is US President. He has cultivated friendship and trust with Donald Trump over the past 18 months. However, Japan is simultaneously seeking to tackle its constitutional limitations on self-defence because of a possible decline of US willingness to materially engage in Northeast Asia. Meanwhile, Sino–Japanese relations have, if temporarily, improved since the end 2017, marked by a new atmosphere of dialogue and cooperation. The Trump–Kim summit on 12 June also lowered tensions for a while. This makes it more difficult for Abe to convince the public of the need to beef up Japan’s Self-Defense Forces and even amend its constitution, given it is still seen as a low priority, without demonising North Korea or China. Second is the risk of economic downturn. Even though recent economic indicators were generally positive, including 1.8% GDP growth in 2017 and a low unemployment rate, Japan cannot escape domestic and global economic risks. Domestically, one urgent task is super-ageing, as the population over 65 years of age reaches 35.1 million, or more than a quarter of Japan’s total population. The number of those over 80 years old has also exceeded 10.7 million. While the Basic Policy 2018 promised fiscal reforms, further reforms of government expenditure, especially social welfare, are getting harder for the administration to achieve. Globally, US foreign economic policies under the Trump administration that have sparked fears of a US–China trade war, as well as the deterioration of US–Iran relations, will affect Japanese businesses. So far, Abe has done well by concluding TPP-11, Japan–EU EPA, and committing to RCEP negotiations. He also coped with Japan’s difficult position at the last G7 summit in Canada by seeking to bridge the divide between the Trump administration and other global partners in Europe. Although the Japanese government adheres to dispute settlements in the World Trade Organisation before taking legitimate retaliatory measures, the Abe administration is expected to play a bigger global role as a leader of free trade, while working on domestic structural reforms. This does not mean there is no Abe fatigue. Yet, unless his successor emerges with a relevant alternative policy package, support for Abe will continue.